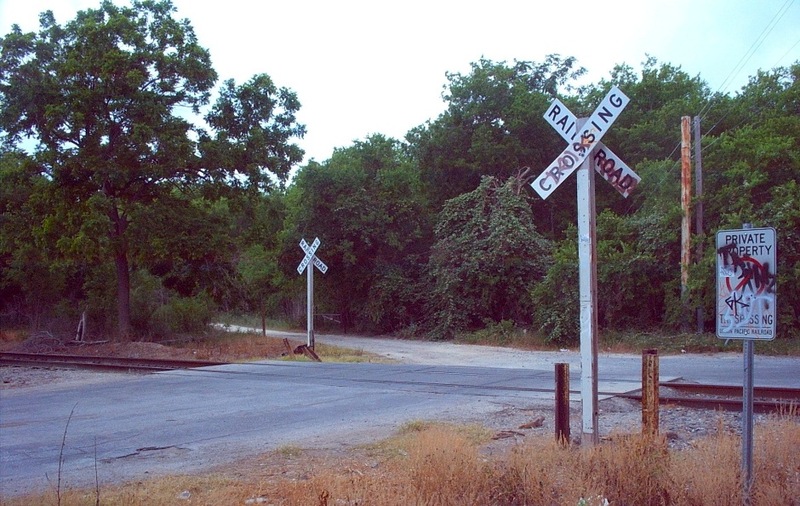 According to the legend, a tragedy occurred in the south of San Antonio in 1930s or 1940s on an intersection of roadway and a railway track. A school bus carrying small children got stuck on these tracks. A speeding train smashed the bus, killing its 10 tiny passengers and the bus driver. These tracks have now become ‘Ghosts Tracks’, people say that the place is haunted by those tiny little ghosts. If anyone stops or park their cars on the tracks, their car is pushed by the little ghost hands. The tiny ghosts don’t want people to suffer from the same ill-fate as they did. My cousin and I had gone to San Antonio and we had heard rumors of some haunted railroad tracks. The story was a school bus full of children had stalled on these tracks with a train coming. The train was going too fast for there to be time to get the children off. So they all died. When we finally found the tracks, we stopped the car; parking it right on the railroad tracks. We were both a little nervous and scared, but we waited for something to happen. Just when we were about to leave, the car started rolling. We were both too freaked out to do any more than grab each other and gasp, eyes wide, mouths open. After what seemed like an eternity, (but was actually less than 5 minutes tops) the car stopped rolling. We looked around, and we were off the railroad tracks. Now, that may not seem spooky, but what we saw next scared us enough to jump back in the car and make the 6 hour trip home that night. Both of us got out of the car and walked around to the back. After the first 6 hour drive, our car had accumulated quite a bit of dust on it. That’s not scary, no. But what were scary were the little sets of handprints all over the back of the car. All the size of children’s hands. Many cases were reported that the cars do move on their own and small handprints appear on them. Some claim to have voices and laughter of small children there. To experience this paranormal activity many people park across the tracks, turn off the engine and put the car into neutral. The car rolls across the tracks; every time. Cars are not pushed across the tracks by tiny, ghostly hands. To some people, the car appears to be going uphill, but the tracks are on a slight downward slope. 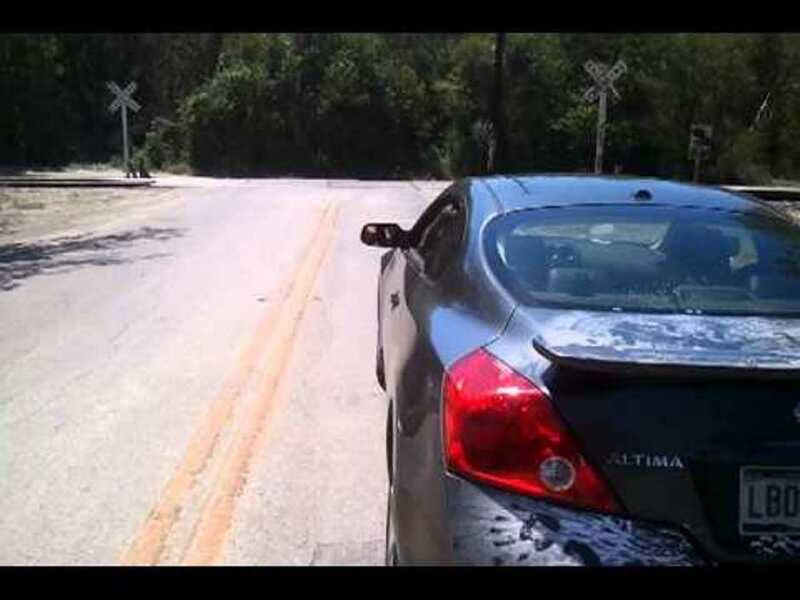 This ghostly ‘gravity hill’ is an optical illusion. Despite an illusionary appearance of a level, or even slightly inclined road, the street surface was actually at a 2 degree declination as it approached the railroad track crossing.” In other words, the road runs downhill slightly, so naturally a car in neutral will roll in that direction on its own. The cars actually move downhill. Investigations also revealed that no accident had ever occurred on this spot in San Antonio. It seems that a similar accident had occurred elsewhere which might have been recreated. Explanations were given for all the happenings there. But still many believe that the place is haunted and there are signs of paranormal activities there. The place is very popular and there are lines of cars waiting to experience the roll.